Lieu made the outrageous comments in a CNN interview over the House Judiciary Committee hearing with Google CEO Sundar Pichai. 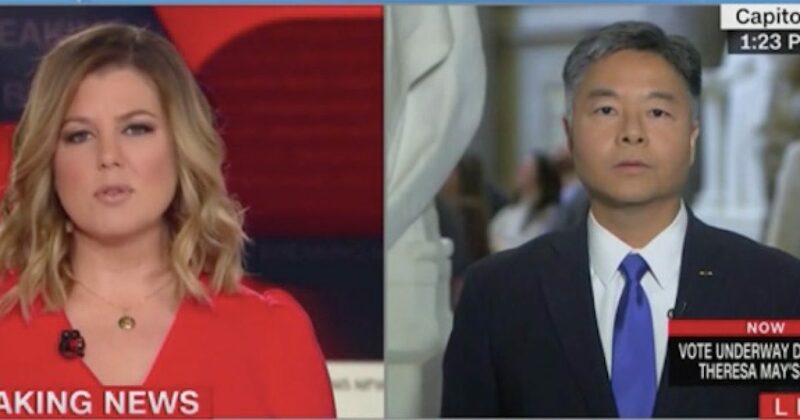 CNN host Brianna Keilar praised Lieu for his performance but asked whether other Democrats should have used the committee to press Google on conspiracy theories that spread on their platforms. “It’s a very good point you make. I would love if I could have more than five minutes to question witnesses. Unfortunately, I don’t get that opportunity,” Lieu said of the committee hearings. “However, I would love to be able to regulate the content of speech. The First Amendment prevents me from doing so, and that’s simply a function of the First Amendment, but I think over the long run, it’s better the government does not regulate the content of speech,” he continued. There’s no equivocation of Lieu’s true feelings when it comes to free speech – he wants to control it but that pesky U.S. Constitution is in his way. Thank goodness for the U.S. Constitution – it protects our liberty to speak freely and protects us from the wishes of politicians like Lieu.